Click on any of the sections below to learn more. 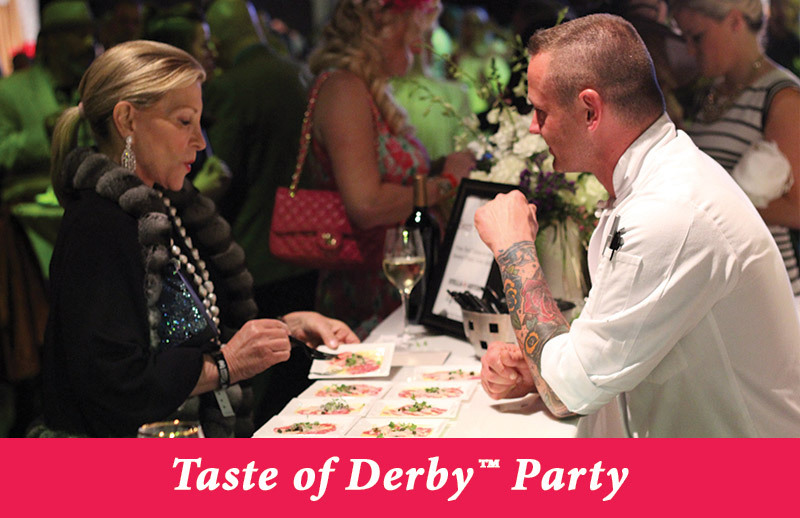 Enjoy a night full of top chef creations and drink pairings on the eve of the Kentucky Oaks. 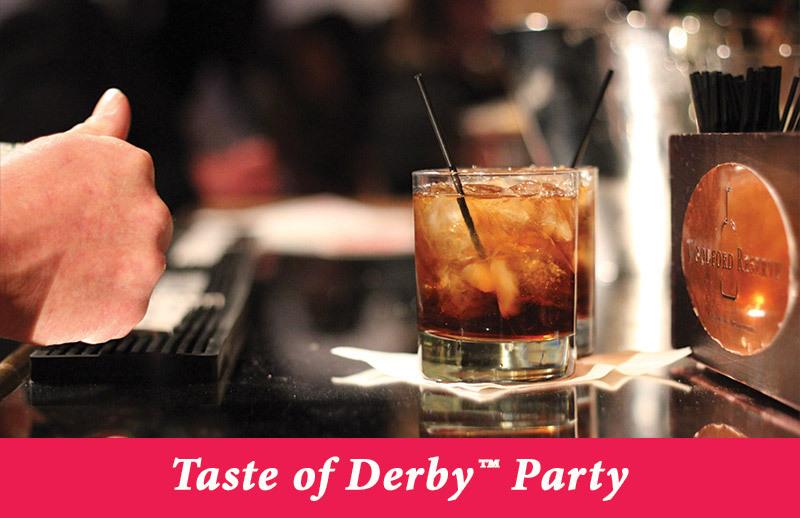 Kick-off your Kentucky Derby weekend! 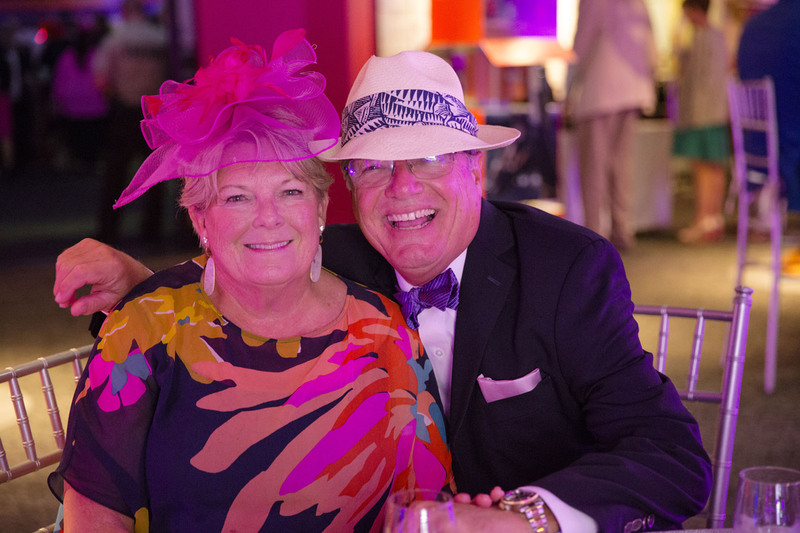 Experience a lively night in the newly opened expansion area of the Kentucky Derby Museum! 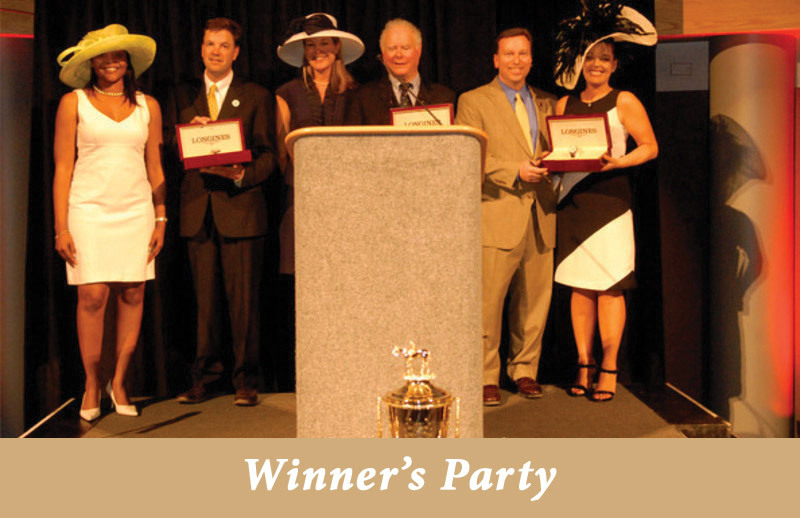 Partake in the celebration and action of crowning the new champion alongside winning jockey, trainers, and owners right after the race! Available to all Derby Experiences' clients with Official Ticket Package purchase. Exclusive to Derby Experiences' clients, the Backstretch Tour will take you to the stables where you can get up close and personal with the horses, trainers, owners, and jockeys. If you want to know how a working horse farm operates, see their famous stallions or tour the ivy-covered grounds of Keeneland, you don't want to miss the opportunity for a private horse farm tour to get behind the fences. For more than 200 years, Kentucky's legendary distilleries have crafted the world's finest bourbons. Discover the art itself and taste a few on a Bourbon Distillery Tour. Want to combine a horse farm tour and a bourbon distillery tour? The Best of Kentucky is what you're looking for! 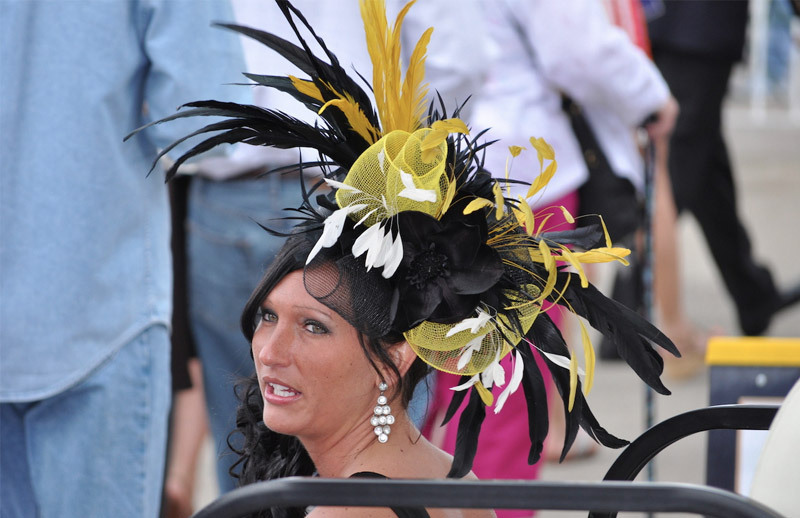 Fashion and style have been a major part of the Kentucky Derby since its inception in 1875. 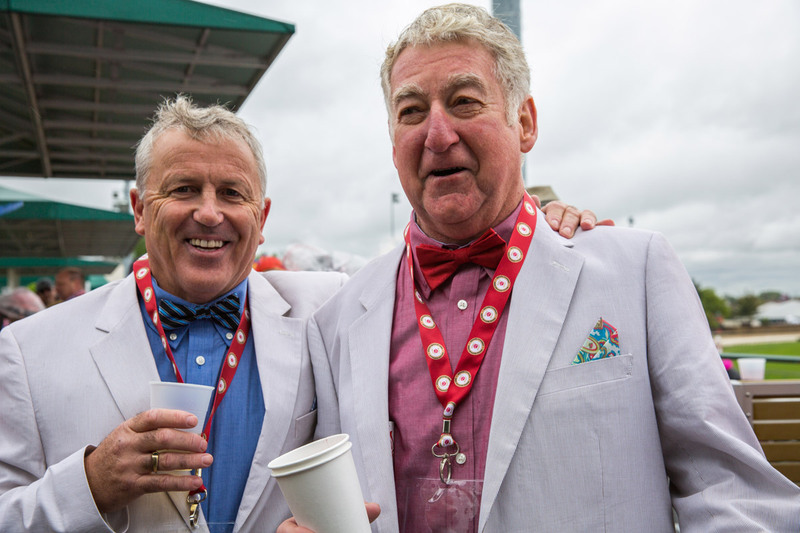 Placing a bet is a huge part of the Kentucky Derby for many at Churchill Downs. There are many tricks of the trade and superstitions that come along how to bet, types of bets, down to what to wear when you bet. The type of bet you would like to make. Here you’ll use betting terminology like Win, Place, etc. The dollar amount of your wager. The number of the horse as it is referred to in your racing program. Your horse must finish first for you to cash a ticket. If your horse finishes first or second, you are a winner. You are a winner if your horse finishes anywhere among the top three. You're betting to win, place and show. If your horse wins, you collect on win, place and show. If your horse comes in second, you collect on the place and show bets. If your horse comes in third, you collect on the show bet. Type of wager calling for the selection of winners of two consecutive races, usually the first and second. To collect, you must select the winner of two consecutive races. 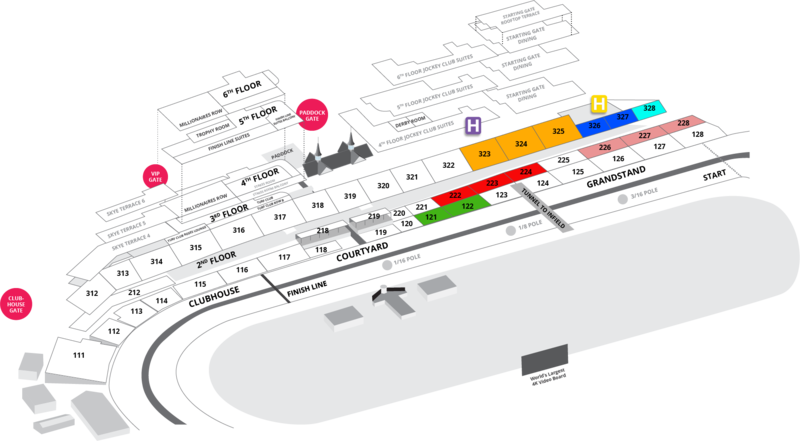 For example, you must select the winner of the first race and the second race. 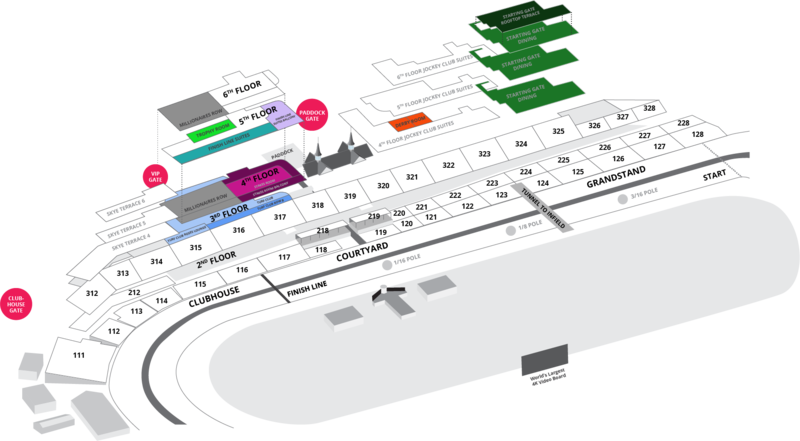 Wagers must be placed before the first of your two races. To collect, you must pick the winners of three consecutive races. You must make your selections before the first race of your Pick 3 wager. 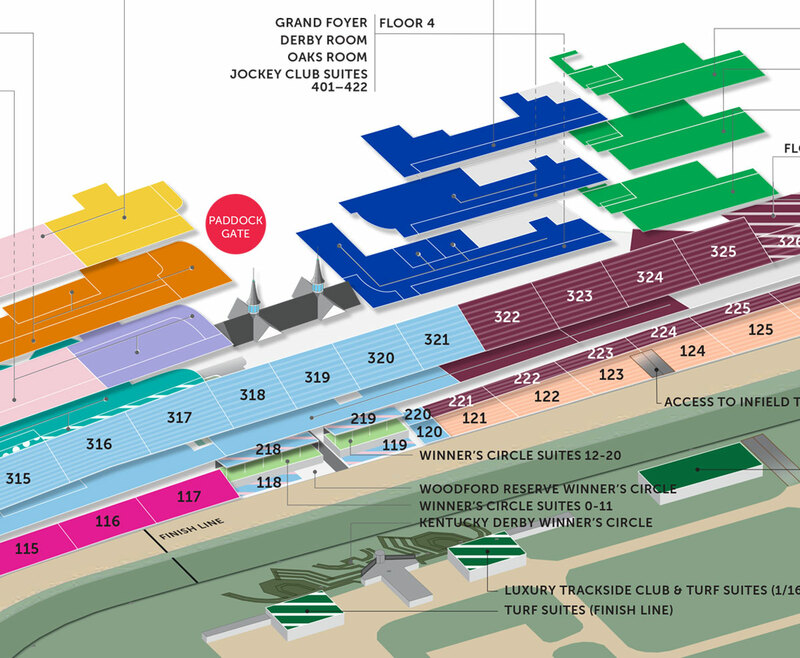 To collect, you must pick the winners of four consecutive races. You must make your selections before the first race of your Pick 4 wager. You can increase your chances of winning with boxes and wheels because they allow you to combine several bets all on one ticket. Lets you pick only some of the possible combinations and costs less than a complete wheel. To collect, you must pick the horses that finish first and second in exact order. For example, if you play a 4-7 exacta the #4 horse must Win and the #7 horse must Place (come in second) for you to win the exacta payoff. You win by picking the first two horses to cross the finish line in exact, or perfect, order. Term to indicate covering your selections in all possible finish orders. Example: $2 Exacta Box numbers 3 & 8 horses. Is similar to an exacta, except you must pick the horses that finish first, second and third in exact order. For example, if you play a 4-7-1 trifecta, the #4 horse must Win and the #7 horse must come in second and the #1 horse must come in third. Is similar to an exacta and trifecta, except you must pick the horses that finish first, second, third and fourth in exact order. You win by picking the first three horses to cross the finish line in exact order in both of two designated races. Only those who correctly pick the trifecta finish on the first race may exchange their tickets for a second-half twin trifecta ticket. If no one correctly picks the twin trifecta, the pool is carried over to the next racing day, or until someone wins. Key a horse to win, plus two others in either order to come in second or third. Pays one half of the Trifecta. NOTE: Trifecta and Superfecta wagering on all races that qualify under Kentucky statutes. Daily Double and Super High-5 wagers are $1 minimum straight bets. On Oaks Day and Derby Day, the Superfecta is a $1.00 minimum wager. Trifecta, Pick-3, Pick-4 and Pick-5 wagers are $.50 minimum straight bets. The Pick-6 is a $2.00 minimum wager. The Exacta is a $2.00 minimum straight bet with $1.00 boxes and wheels. Located on Fourth Street between Liberty and Muhammad Ali Boulevard, it's the heart of Louisville. From the Hard Rock Cafe, to the Maker's Mark Bourbon House & Lounge, to the Fourth Street LIVE! stage, top musicians come to perform during Derby week. 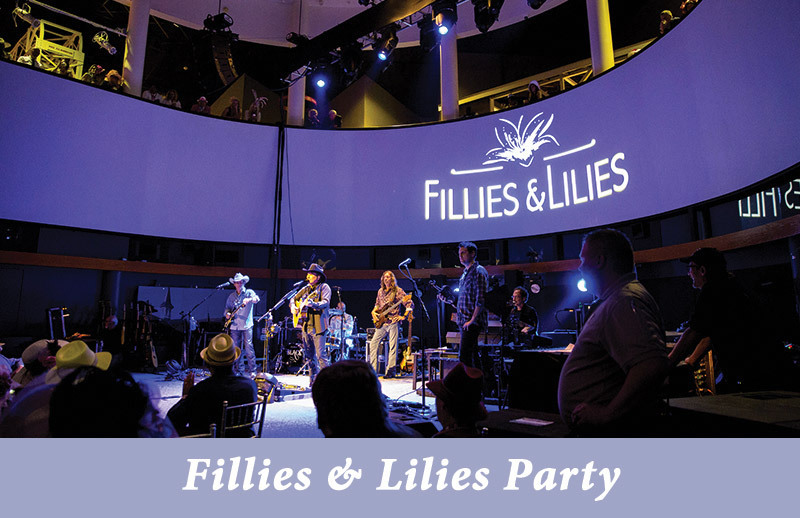 Held immediately following the Kentucky Oaks, live entertainment will take the stage at the Fillies & Lilies Party. Guests can enjoy the open bar and mingle with celebrities as they dance the night away. If you're looking for savory entrees that will melt in your mouth, Doc Crow's Southern Smokehouse and Raw Bar are where you need to be. With selections such as fried oysters, beef brisket, catfish, and po-boys on the menu, there is something for everyone! Whether you're seeking breakfast, brunch, lunch, dinner, or dessert, you can find delectable dishes at Proof on Main. With items such as egg white fritattas, shrimp 'n' grits, bison burgers, fresh scallops, and gelati on the menu throughout the day, you can't go wrong. With tasty options paired with live music on the weeknights, Jack Fry's knows how to bring you in with great performances and make you stay for the fantastic food. There's not much better than the delicious, local Louisville dishes on the menu. The trumpeter sounds the “Call to Post”, eyes shift to the starting gate, the announcer readies the contenders …and they’re off! The gates release a thundering stampede of hooves; the stands come alive with a gargantuan roar and a sea of waving tickets and fists surge to the air... who will be victorious? 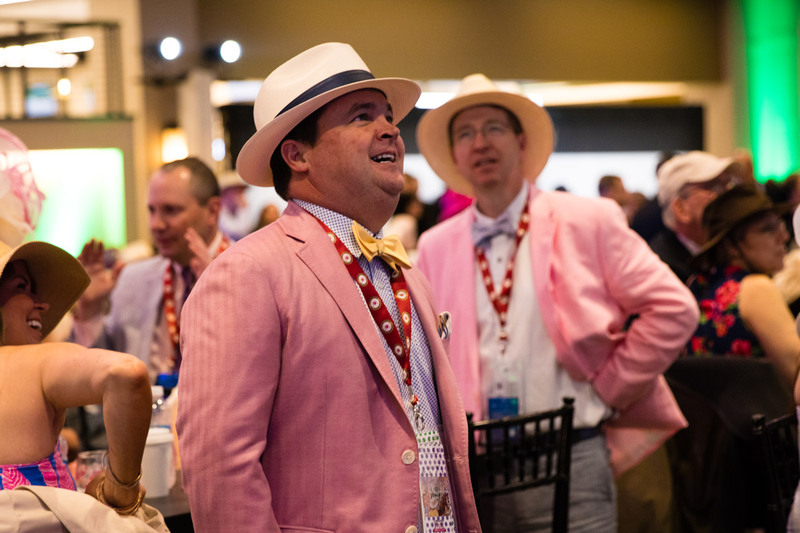 Click Here to see a recap of the 2018 Kentucky Derby. 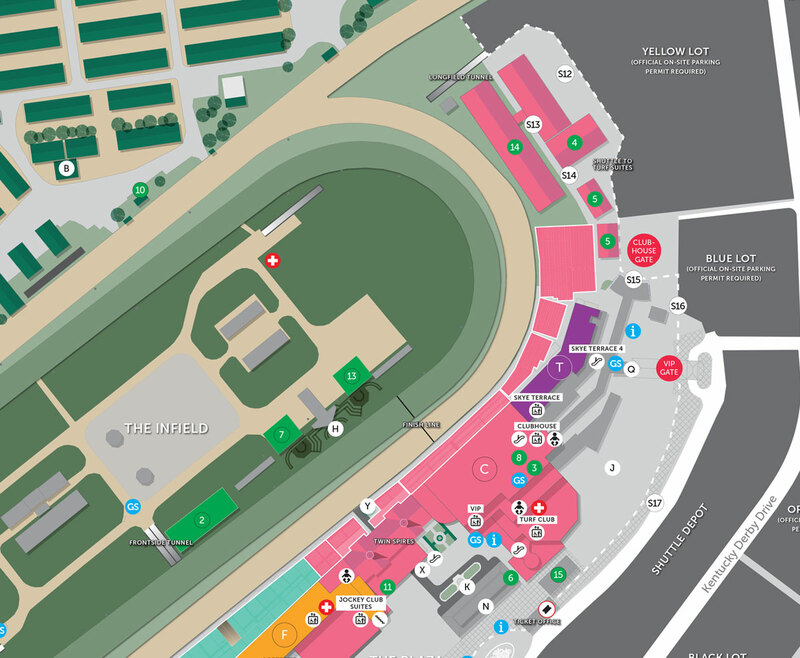 Held on the eve of the Kentucky Derby, the Kentucky Oaks is a thrilling stakes race covering 1 1/8 miles and features three-year-old thoroughbred fillies. 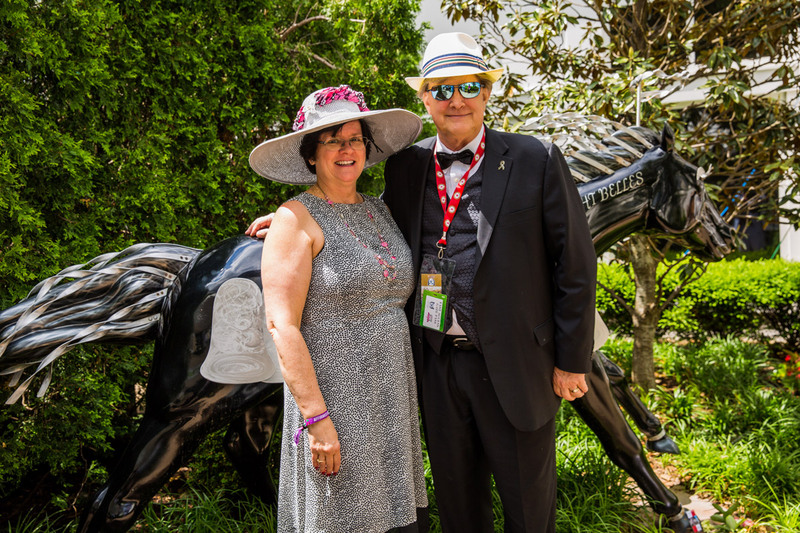 Taking place on the first Friday of May, it also celebrates Churchill Downs partnership with Bright Pink and Horses & Hope. 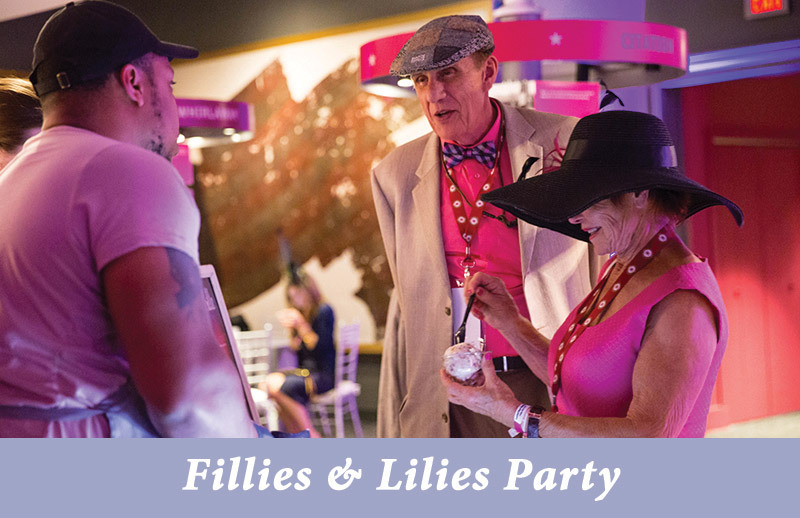 Guests are encouraged to think pink for their attire to honor the partnerships and the Oaks official flower, the stargazer lily. 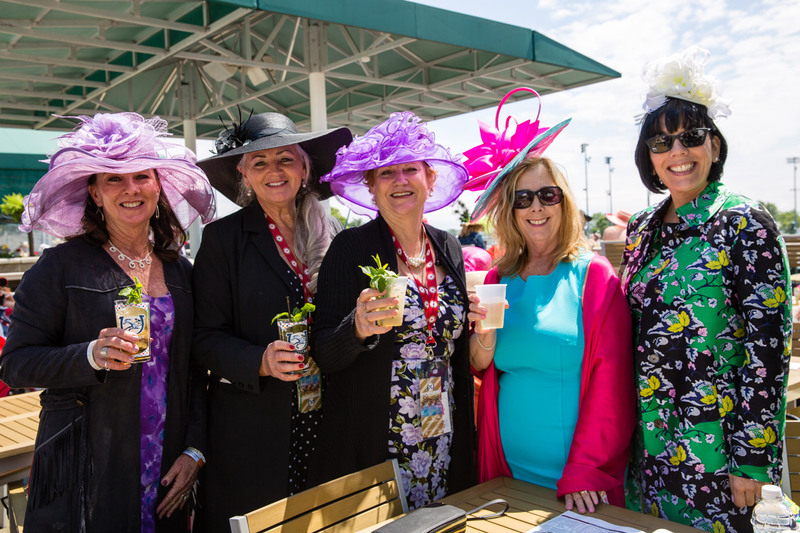 Known as “The Most Exciting Two Minutes in Sports”, the Kentucky Derby brings horse racing fans and patrons to Churchill Downs annually on the first Saturday of May. The Kentucky Derby is the longest continuously running event in the United States and remains the first leg of the coveted Triple Crown™. 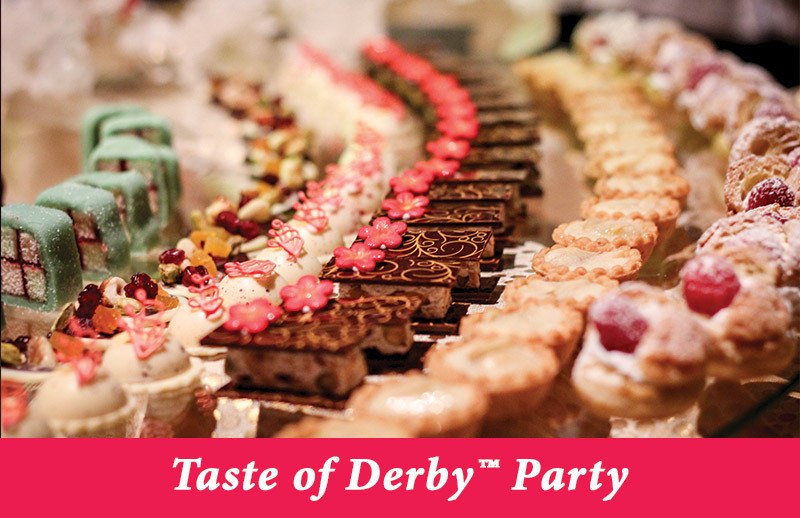 The Derby race features three-year-old thoroughbreds who race the 1 ¼ mile stretch for the honor of the roses. Our seats were really good. Enjoyed being on the final turn, where you could see the jockeys make their big move turning toward the backstretch. And also got to see the horses being loaded for many races. 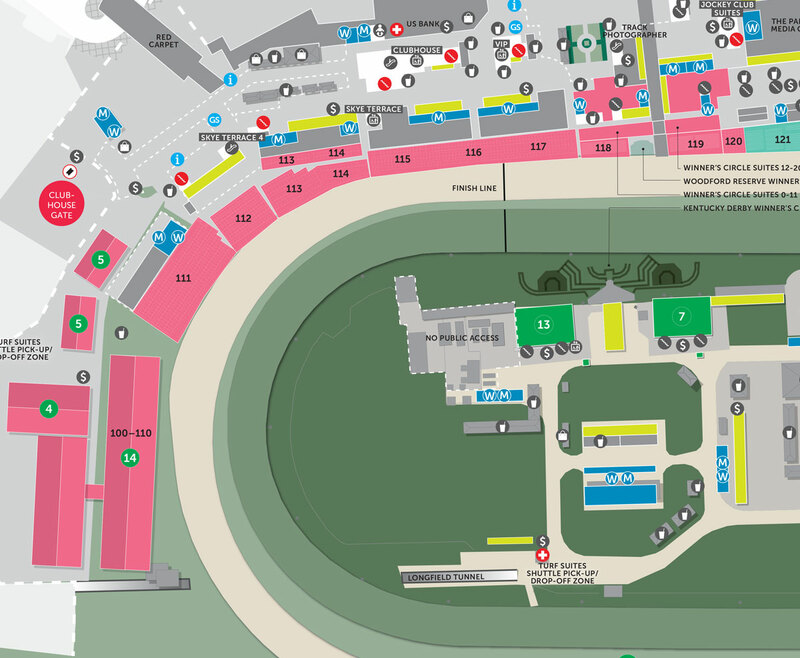 I've wanted to be at the Kentucky Derby in the grandstands on my birthday since I was little. I had to wait until my 65th birthday, but this fulfilled my dream very well. Thank You. The food and drinks were great! The staff was excellent. Very helpful and friendly!! The Hospitality lounge was fantastic, not a complaint, much more than we expected. My entire derby experience was wonderful!! A class event done well, recommend it highly! 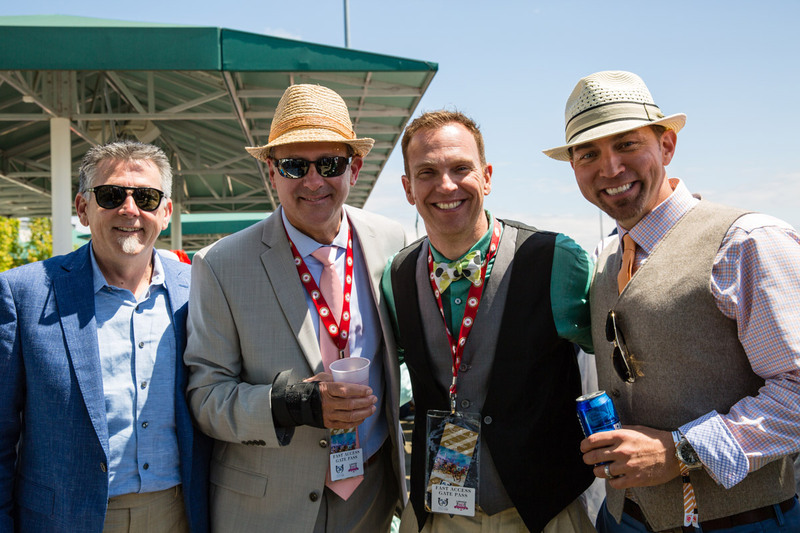 This was our first time at the Kentucky Derby and we loved it! We will be back. Our experience was amazing!! You are top notch!! The best!! I loved it! Overall great experience. Seats and smarty jones lounge were great! Will be using you guys again next year!